I don't know about you, but I love the classic stories the best, especially when I get to share ones that I've read with my children. 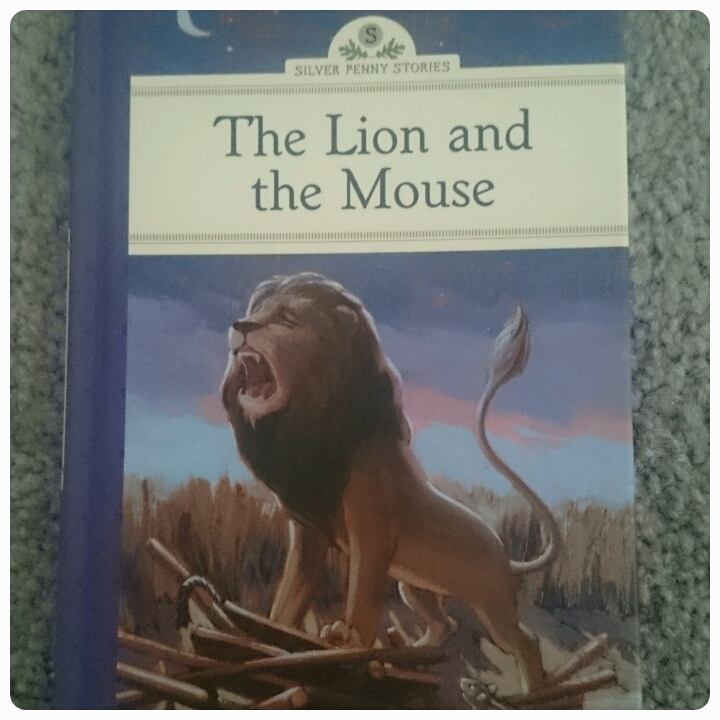 These tales once captured my imagination and it is nice being able to read them to my kids like my parents once did with me. However sometimes these stories need a little bit of a revamp to bring them back to life and make them appeal to the younger generation, books are just as much about the pictures as they are the words these days. 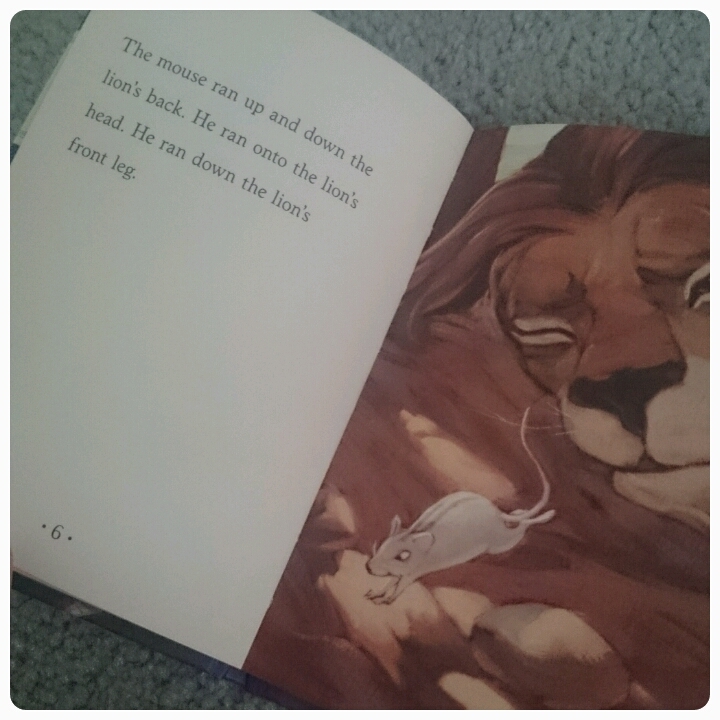 The Lion and The Mouse is one of those tales. This new version published by Sterling is told by Kathleen Olmstead and illustrated by Scott Wakefield. With a lovely hardcover, I was immediately drawn to that new book smell, you must know what I'm talking about!! At 41 pages in length it may seem quite long but both writing and pictures alternate in pages. The wording is printed quite largely and the sentences are short and most words are fairly easy to read and understand. With only a couple of sentences on each page, it makes this book perfect for even quite early readers. I've taken the time to sit down with my almost 5 year old and she sounds out some words, and recognises other. I love the illustrations, each one looking like a painting, simply done yet holding such detail, really helping to bring the story to life and this also made the book ideal for even my two year old because she enjoyed looking at the images as I read to her. Pointing out both the lion and the mouse and continuing to make the noises that each animal makes. The best thing about stories like these is that children learn from them with important messages held within the story, in this tale we learn about what being kind means and just how it affects others. Priced at £3.50 and with many other titles available, these books would come together to make a wonderful collection on your child's bookshelf and make the perfect family time stories for both children and adults to enjoy. I love these old fables. The text and layout almost look like a Ladybird book. Yes! Ladybird books you are right - they totally remind me of those!! That front cover looks v dramatic too! Oh this looks gorgeous, and reminds me of my childhood! Love it! I always enjoyed fables as a child and how lovely to see them appearing in new editions like this. And yes, I totally know what you mean about the 'new book' smell!